John K. asks: I heard that the NFL is tax-exempt. Why is this when they make billions every year? 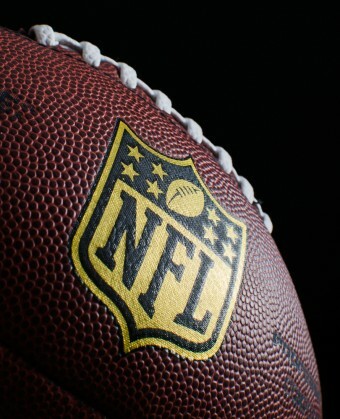 The NFL made over thirteen billion dollars this past year in gross revenue. That is over three billion dollars more than Major League Baseball, the next most profitable professional sports league. The Buffalo Bills, the NFL’s current least valuable team, is worth an estimated $1.4 billion, which is $200 million more than the New York Rangers, the NHL’s most valuable team. With every long touchdown pass, every bone-crushing hit, every game-deciding interception, every Super Bowl Sunday, the NFL is raking in even more cash. That is why many fans are surprised, and even angry, to hear that the NFL is technically a tax-exempt, non-profit organization. While it can be argued (and currently is as we’ll get to in a bit) that the NFL is much more interested in furthering their own brand than the industry as a whole, the league does do many things to promote American football. It establishes rules and practices for its members by hiring game referees and considering competitive rule changes every offseason. It develops ways for the organization to run more efficiently and profitably by setting up the college draft, conducting player safety research, and negotiating collective bargaining agreements between the Players’ Union and team owners. It also promotes the business in the broader community by running youth football camps, giving to charities, and setting up big game-promoting events like the Super Bowl. As for how this tax-exempt status came to be, the NFL League Office was established as a trade organization, and therefore tax-exempt, not recently, but actually all the way back in 1942. The NFL was a fledgling sports league back in 1942. Despite being in the midst of playing their 23rd regular season, the NFL still was struggling financially. They needed to find ways to save money and to protect their employees, the players. So, the NFL League Offices filed an application for tax-exempt, non-profit status with the IRS. The application was accepted. According to a 2009 article, both the NFL and IRS have said that they can not find a copy of the original 1942 application. The league continued along until 1966 when they faced stiff competition from the AFL. The AFL had begun play in 1960 and immediately started challenging the NFL for television contracts, college players, and popularity. On June 8, 1966 the NFL and AFL announced a merger, but in order to avoid antitrust law sanctions, the merger had to be approved by the United States Congress. And that meant convincing the powerful Louisiana Senator and Chairman of the Finance Committee Russell Long. According to the Senate’s own website, Chairman Long tacked the merger onto a tax bill, ensuring it would arrive at his desk. He could then alter the language, ensuring exemption from sanctions. In exchange, Long told NFL Commissioner Pete Rozelle that he wanted the next NFL expansion franchise to be in New Orleans, in Long’s home state of Louisiana. The merger passed and on November 1, 1966, the New Orleans Saints became the sixteenth NFL franchise. Good old fashion backroom politics. inures to the benefit of any private shareholder or individual. It goes on to state clearly that the newly merged league could move “forward without fear of an antitrust challenge” and that the league will not lose their exempt status “because it administered a players’ pension fund.” With these clauses, the NFL League Office, now bigger and with more power, weathered the merger storm and remained a tax-exempt, non-profit trade organization. So, the question now is if the NFL League Office is non-profit and doesn’t pay taxes, who does? The answer is the 32 teams via some clever structuring of how the NFL works behind the scenes. Revenue that comes into the NFL coffers is funneled through various branches of a for-profit company called NFL Ventures. The NFL League Office is a completely separate company and NFL Ventures is very much subject to taxation. Major professional sports leagues qualify by stating their purpose is to help their respective sports at large, though they devote most of their activities to promoting their specific brand. In the end, at least according to USA Today’s Sports Editor Peter Barzilai, all of this tax talk may not matter much. Even though the teams collectively pay between $250 million and $300 million to the league each year in “membership dues,” most of it is used to pay salaries of employees, manage an office, run the college draft/Super Bowl, and used for charitable functions. In other words, the NFL League Office is playing by the rules, at least according to what is laid out in the 1966 tax law. It is estimated that if NFL were to lose their tax exempt, non-profit status, they would pay only about an extra $10 million dollars each year for the next ten years to the government, assuming they didn’t change anything in the way they run to get around this. Ten million dollars a year maybe a lot of money in some respects, but not to the richest sports league in the world, nor, frankly, to the U.S. government. Considering the government is already over $17 trillion in the hole and literally rising by billions per day, an extra $10 million doesn’t really make much of a dent. That said, $10 million’s not nothing, and every little bit counts. However, the NFL has claimed that they would find other ways to make up the lost money, including writing off completely legal tax deductions that they never could have done before due to their exemption status. If the NFL does give up their tax-exempt, non-profit status, it seems likely it wouldn’t have a dramatic impact on their bottom line. In terms of fan relations, the fact that any part of this multi-billion dollar business is tax-exempt does not sit well with their paying customers. So for that reason alone, the league’s commissioner Roger Goodell should be looking into following in MLB’s footsteps and scrapping the NFL’s exemption. (As a bonus, if they did give that up, Goodell would no longer have to report his salary, which pops up in the news every now and again as a matter of significant controversy.) And if you’re curious, the non-profit NFL League Office paid Goodell about $35 million in 2014 and he’s made a little over $200 million since taking over as Commissioner in late 2006. NFL Commissioner Roger Goodell’s salary is more than the chief executives of Wal-Mart, Coca-Cola, AT&T and several large banks make. After Major League Baseball gave up their exemption in 2007 it turned out not to affect them much, with revenues increasing drastically since. Most recently, they made a league record $9.5 billion dollars in gross revenue in 2015, up by about $500 million from 2014, and up from the $6.1 billion they made in 2007. Amazingly, in 1995, MLB’s revenues were only $1.4 billion (about $2.1 billion today). Your Tax Dollars into NFL Owners’ Pockets? If it’s ONLY $10M per year that they would have to pay, why don’t they pay it? Won’t make much of a dent in the national debt? Well, neither does my $30K per year, so let me keep that, too? Is the writer of this article also part of the NFL, or on it’s slush fund, that he has to feed this propaganda to readers? I totally agree, what is “Slush” anyway. I have been doing a lot of research about Commissioner Goodell. Until 2015 the NFL LEAGUE OFFICE was tax exempt. Now the NFL does not have to disclose the amount of the Commissioners salary. Unbeknownst to me, most other Pro sports had the same exemption. Fees paid by the NFL teams to be in the league, are considered dues. The NFL LEAGUE OFFICE was Federally Tax Exempt from 1942 til 2015. BORDER WALL money. If the C6 pays the commissioner, why aren’t they in violation of the enourment covenant that limits nonprofit executive compensation? Remember the head of the United Way? He got nailed and is a piker compared to the $44 million and fringes Goodell reportedly was paid. Successful by freeloading on taxpayer dollars? Hmm I guess “peasants” are successful people too? All their buildings were paid by tax dollars. Profits made part by taxpayer dollars that local governments spend on teams, coupled with tax breaks worth hundreds of millions for the teams, the league, their sponsors and fans. Seems like League just makes money by simply existing at this point. Shouldn’t something that’s successful be able to be independent from anything including “cash assistance”? Churches cost us taxpayers nearly $84 billions a year with their tax exemptions. Sports organizations are a drop in the bucket compared to that. MANY CHURCHES HELP LOCAL AREA In ENDLESS WAYS the nfl Does VERY LITTLE that Doesn’t Benefit ITSELF !!!! I still don’t see a reason why the NFL League Office shouldn’t pay taxes. All that rhetoric and legal jargon just sounds like the usual BS excuses we get when someone wants to keep more money and let the rest of society shoulder their burdens. No doubt that most of this “charitable” work just sends a chunk of that money right back into their pockets through affiliates and subsidiaries.